Echeveria Raindrops is a really lovely plant which is named for the single droplet-shaped bump in the middle of each leaf. It’s absolutely gorgeous, and would be sure to attract attention up on your table. Could be fun to plant up in an upcycled watering can, a simple white or blue pot, or anything creative you that can think of! 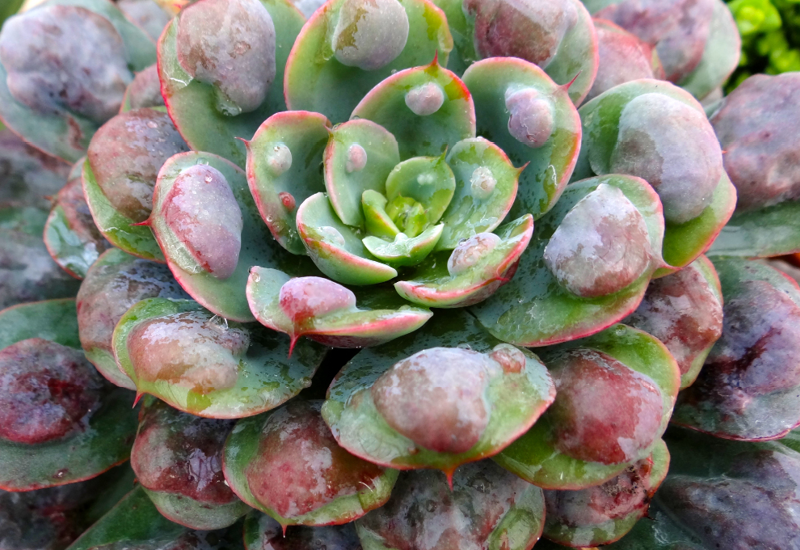 Use a good quality well drained succulent mix and water very sparingly.